1. How long has the business been established? Look for a company that has been in business for at least ten years. Trust only experienced professionals who are known for their services and build quality. 2. Are your roofer is BBB Accredited? Check at BBB that your roofing company has positive reviews and not only is registered and don’t have any review. 3. What kind of insurance do you have? Worker’s Compensation Insurance is required by state laws for on-the-job accidents and injuries. In addition to this, make sure a roofing company has a General Liability Insurance policy to protect their clients. 4. What is the reputation of the business? Look for a roofing business that has an A+ rating with the Better Business Bureau and one that has won awards for our quality roofing work and excellent customer service. Good roofing companies work with a wide variety of roof types for residential and commercial properties. They install all types of commercial roof installations as well as custom designs that use unique roofing materials for luxury homes. 6. What kind of roof types do you repair and install? Experienced roofing companies can repair and install roof made of asphalt shingle roof, tile, wood shakes, slate and metal roof shingles. 7. What are the warranties? Look for a warranty that covers both labor and materials. 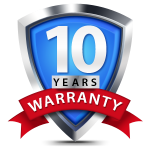 Depending on the type of roofing materials used, the warranty available may be up to 50 years or for a lifetime. Consult with your roofer for the specific warranty coverage available for the roofing materials you are considering. When installing a new roof, removing the old roof is a part of the process. It is important to remove the old roofing materials carefully and also to remove any underlayment materials. This allows inspection of the roof support structure so that any necessary repairs can be made before installing the new roof. Additionally, it is a good idea to use a synthetic underlayment for the new roof instead of the lesser quality #15 felt that is commonly used. This added protection increases the useful life of the roof. 9. How will you protect my landscaping during the work? All landscaping, which might be hit by falling debris, is completely covered by protective tarps. Extreme care is taken not to drop large pieces of debris so that the tarps need only catch any smaller pieces that fall. At the end of the job, the tarps are gently removed, the debris is cleaned up, and a magnet is used to make sure any fallen nails are also picked up from the ground. 10. On asphalt-shingle roof, how many nails will you use per shingle? All shingles will be nailed using 1-1/4 inch nails. For standard jobs, there are four nails used to hold each shingle securely in place. For roof that have a steep pitch or if the property is located in an area that experiences high winds, then six nails are used per shingle. Staples should ever be used to attach roofing shingles because their holding power is not sufficient. Poor installation methods, such as using staples instead of nails, can be a cause for roof leaks in the future. This is why a good roofer only uses quality roofing nails. 11. Will you install a drip or metal edge? Failure to install a drip metal edge may cause a roof to leak or water damage in the future. It is important to install aluminum drip-edge around the entire perimeter of the roof. This metal edge extends out from the roof to direct water runoff into the gutter system. This helps to protect the fascia, soffit, and any decking that may be below. 12. What kind of materials do you use? 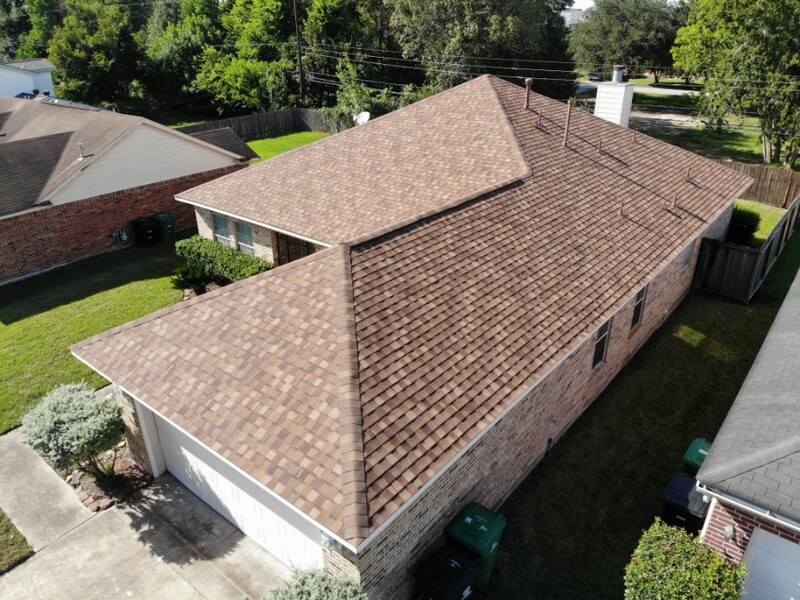 A quality roof is a long-term investment. It is better to use the best materials available from manufactures with long-standing reputations for excellence. For example, the top four brands of asphalt shingles are Tamko, Owens Corning, CertainTeed, and GAF. 13. Do you use all the materials from the same manufacturer? Roofing companies work with the products from many manufacturers; however, when installing a complete roofing system, it is important to use the materials that come from the same manufacturer because they are designed specifically to work best together. 14. Will you be using sub-contractors? It is better to work with a roofing company that manages its own work crews and does not sub-contract roofing repair or installation work to others. There should always be a supervisor on every job to interface with a client to make sure all their needs are met. 15. How will the roofers leave the job site at the end of each day? Many roofing jobs can be completed in one day after all the materials arrive at the job site. From start-to-finish, a good roofing company makes sure that the job site is organized, debris is picked up, and there is minimal disturbance to others using the property. Should a job take more than one day to complete, the job site should be left in a perfectly clean and safe condition at the end of each day.